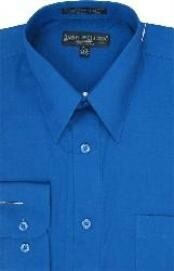 Black Suit and a Blue Shirt - A Super Combo! 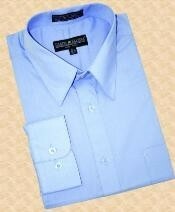 Clothes are like character that follow fashion and trends. 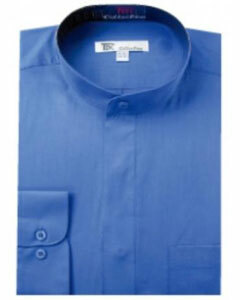 A chromatic choice for the attire you choose to wear is essential as it will place a question on the personality of the person who wears the attire. 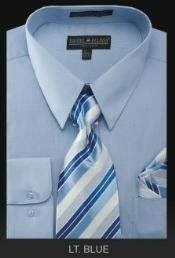 A combination of suit and a shirt along with a tie is the most desired casual wear for most business class men. 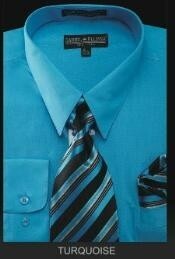 Now the question arises on the color combination of the suit and the shirt! 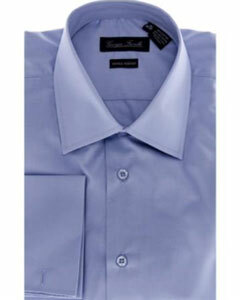 A black suit along with a blue shirt is the most common and best color combination that is worn by most men. 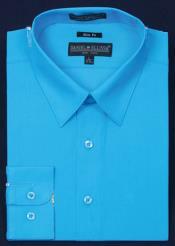 The shade of the blue shirt is chosen in such a way that it goes best with the black suit. 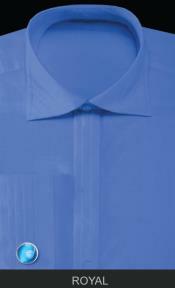 There are varying colors of blue ranging from the darkest to the lightest. 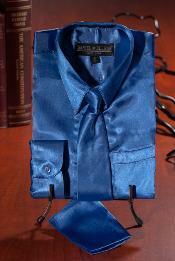 Dark shades of blue are desired less as they do not give an appealing look when worn with a black suit. 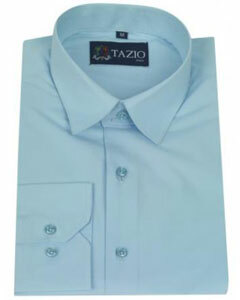 Different options in shades of light blue are available to select the best match that suits your personality. 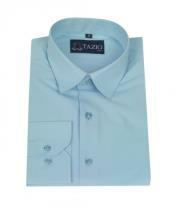 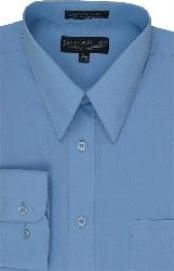 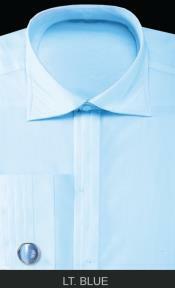 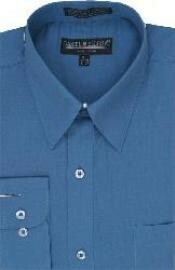 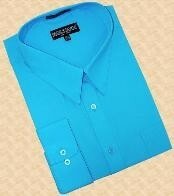 Latest trend in blue shirt with black suit are colors like Royal blue / French blue etc. 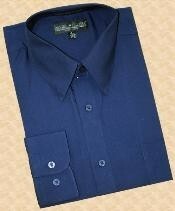 French blue shirt with black suit combination is more sort after by younger crowd. 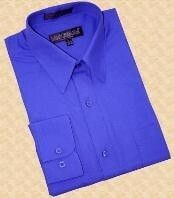 Gentlemen choose Royal blue and black suit. 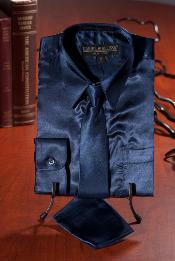 Black suit or black shirt both are hit with gentlemen. 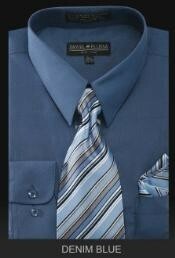 A combination of black suit and blue shirt poses a strong trendy look. 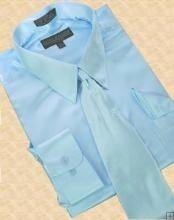 A white shirt is also desirable with a black suit, but a blue shirt places more variety to the options for other accessories like tie, belts, shoes etc. 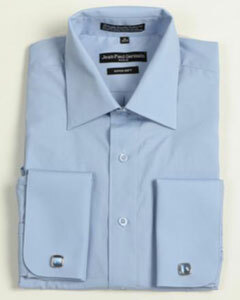 Blue shirts usually work well with black suits, especially those border blue colors that usually pass over in favor of pale blue with other shirts. 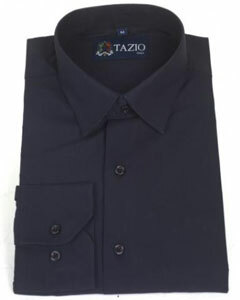 A black suit is considered as one of the most versatile and splendid garment in anyone's closet, as it can be teamed up with any contrasting colored shirt and tie combination. 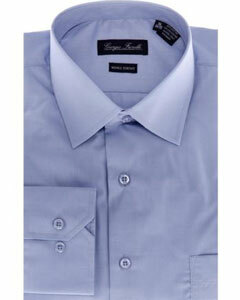 Wearing a suit with a shirt will always emphasize an appropriate look. 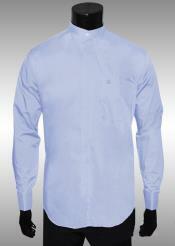 Mensusa.com have Black suit with white shirt, or blue shirt. 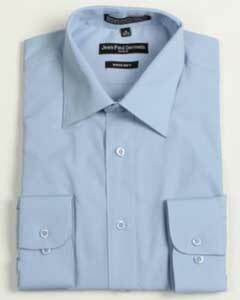 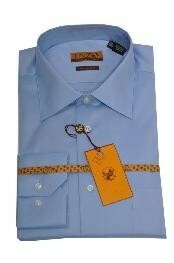 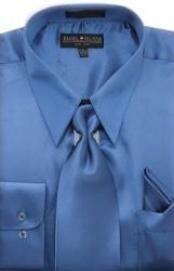 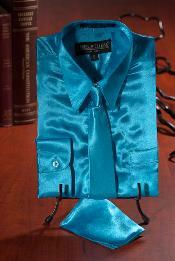 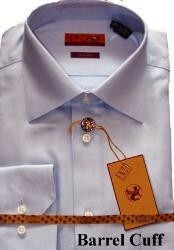 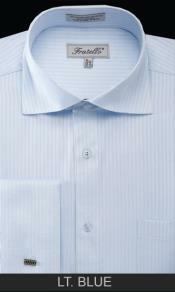 It also comes with a Royal blue tie or Light blue tie. 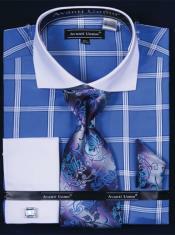 You can choose the best combination that looks great on you. 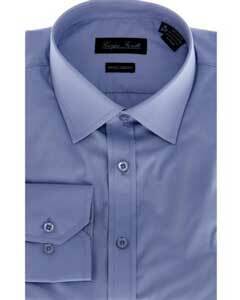 Wearing a black suit with a contrasting colored blue shirt and a yellow tie with blue stripes that match the color of the shirt can be a perfect combination for a formal dress up. 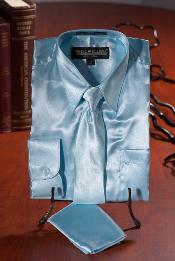 The color of the tie should be chosen in such a way that it reflects an alluring image of the person wearing it. 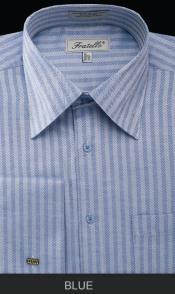 It is also considered a handy option for people appearing for interviews as it represents a formal look. 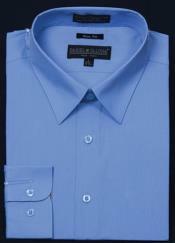 A black suit blue shirt is the catch of any man irrespective of his age, as this color combination is desirable and is never considered out of fashion.